The hat jag didn’t stop with those shown in the last post, but there came a day when I was ready to try something new and I chose Donna Druchunas’ Persist Hat. Well, mostly. Needless to say I modified it a little. The design features the word persist, naturally. And the sign for infinity. I chose to feature the word more and the infinity sign a little less. 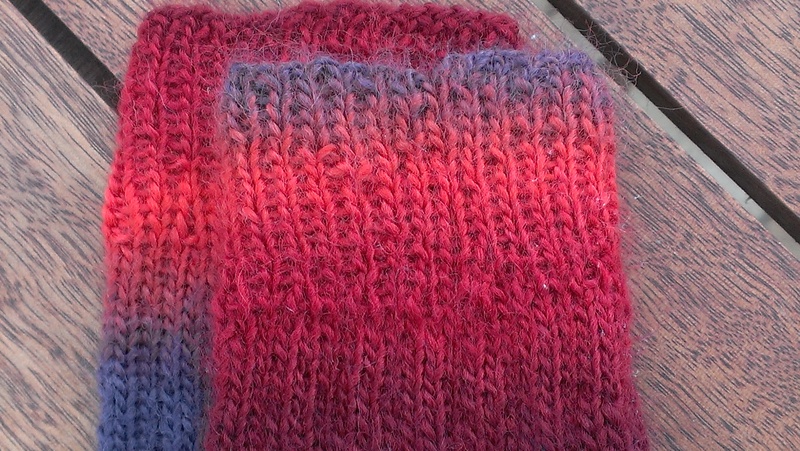 The first one made me think my colour knitting had improved a bit! 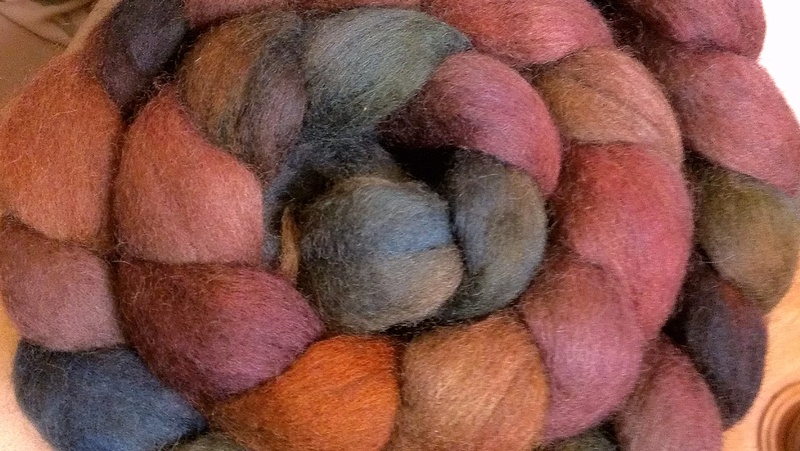 I used some lovely soft local Polwarth yarn I had spun from the stash, and some leftover equally soft alpaca rich commercial yarn that was lying about. After that, I made another one, because… repetition seems to be in my blood. And “persist” is a concept I embrace. And I liked the first one and had ideas for further mods. I went with a contrast cast-on and a twisted rib brim. I like it. One of these hats was always planned for the daughter of friends who is a high school activist. I chose this pattern with her in mind. She has been in a protracted campaign to establish a gay-straight alliance at her school. She and I talk about it every time we meet up, and I am constantly holding out for the need to build our capacity to persist in the face of injustice. I hope she might enjoy a soft and snug reminder of that principle. 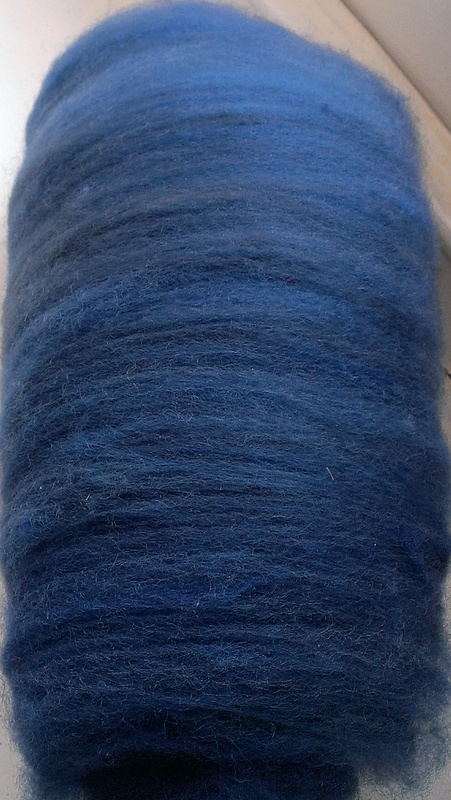 This is an oatmeal Blue Faced Leicester dyed by The Thylacine and spun three ply by me. 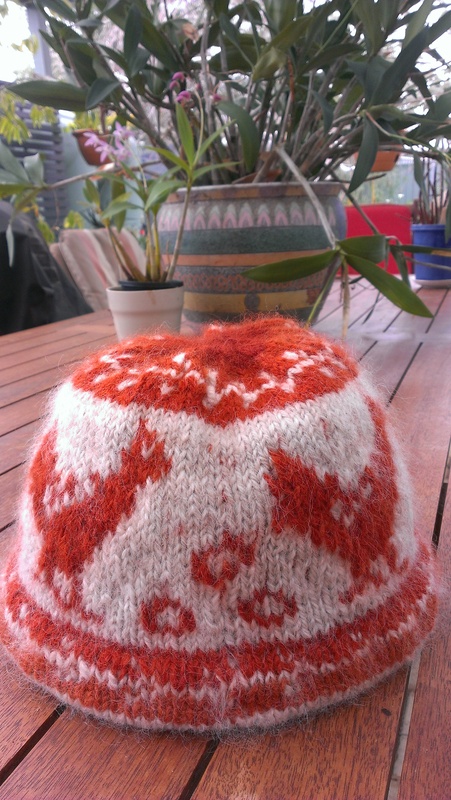 It is rather fine, but I decided to knit a hat anyway and settled on one from Barbara Walker’s Knitting from the top, which is more of a concept plan than a pattern. 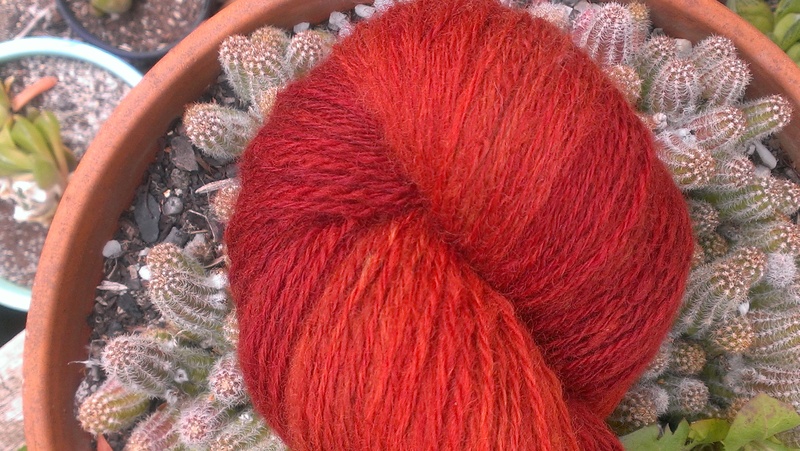 Perfect for handspun. And then it turned out I could use the DPNs a friend surprised me by giving me a while back (I had helped her out with i-cord, and it was sheer pleasure, but I think that may have triggered the gift in some way). 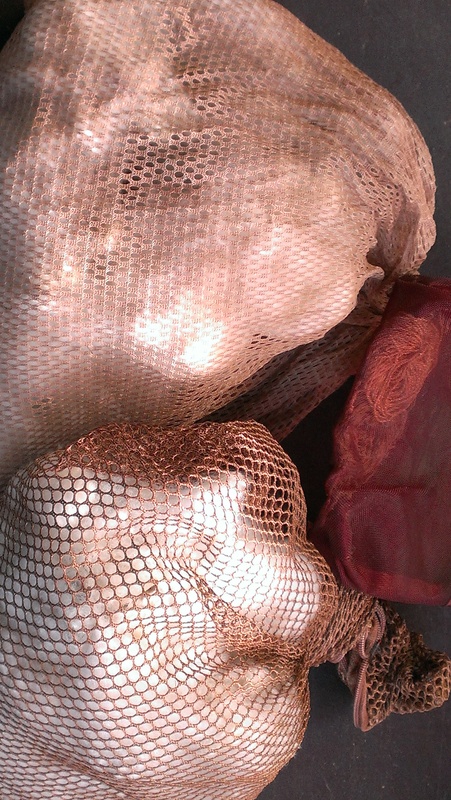 They are a rather unusual size, delectably pretty and perfect for the job. While this hat was on the needles, I decided to cast on another in grey corriedale, dyed with eucalyptus and spun three ply and about 10 ply (worsted). 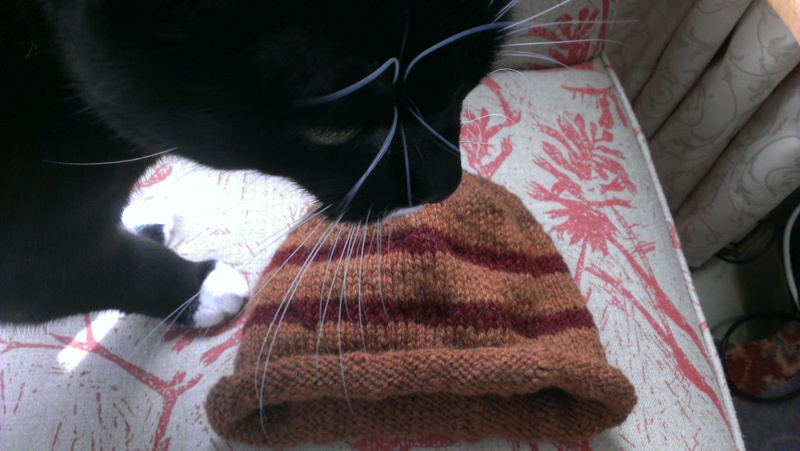 I made a rolled brim hat from Knitting for Peace. Easy and fast. 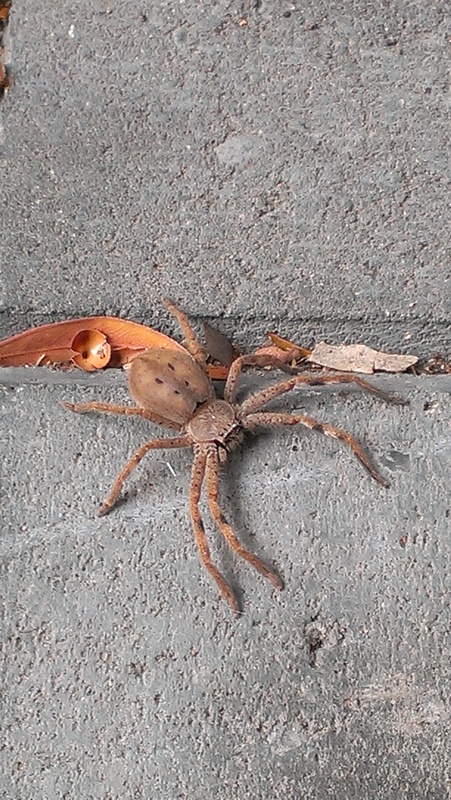 My picture taking was interrupted by our house guest, who turned out to be camera shy. 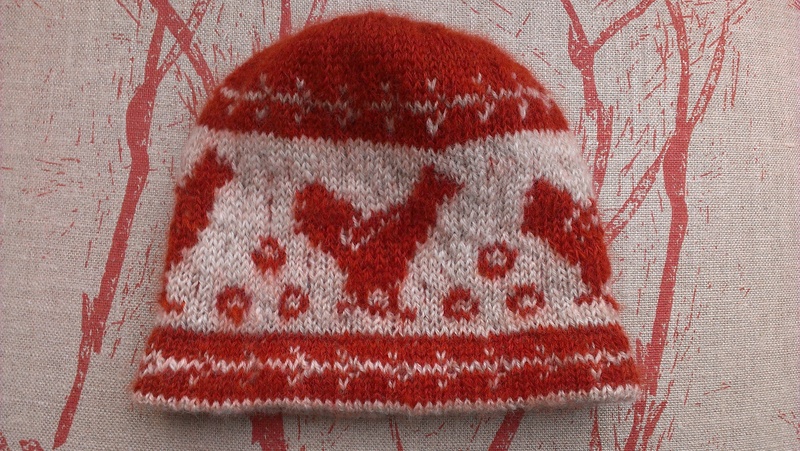 At about this point, there was a hiatus and that first hat sat on the needles until holidays rolled around. 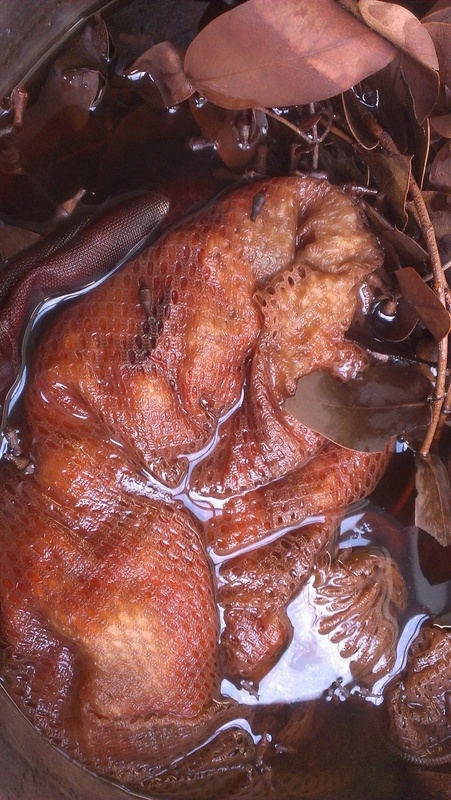 And then, there was an absolute outbreak that continued for some time after we returned from holidays. 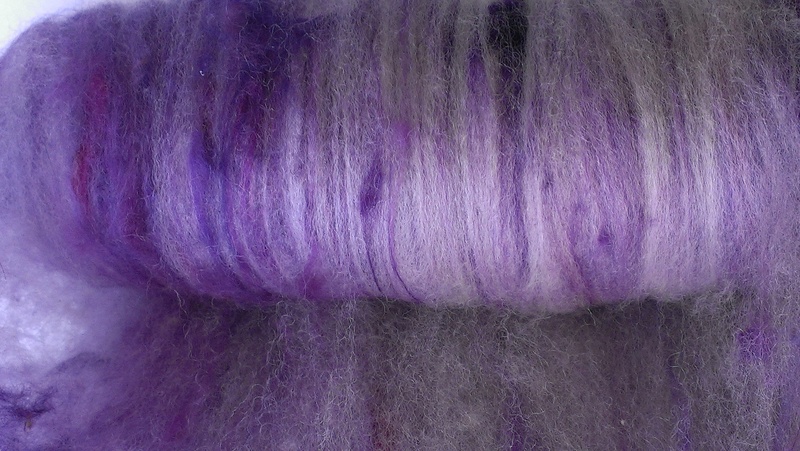 There were some with oddments of experimental yarns (some early corespun in this case). 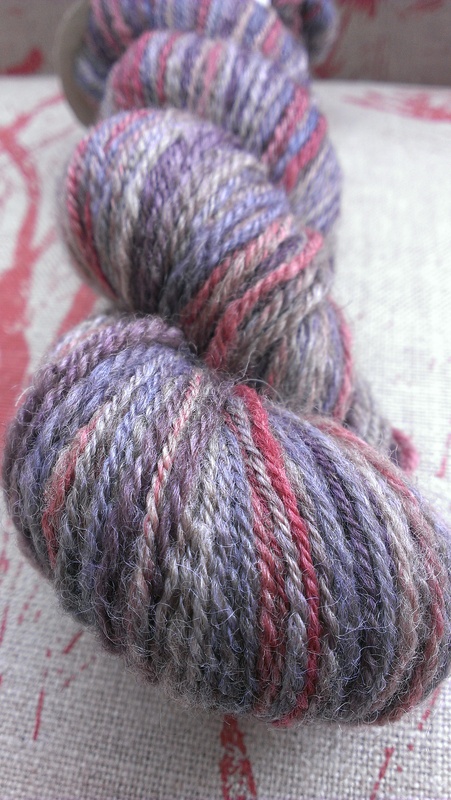 Here is some handspun natural polwarth with some Noro sock yarn for contrast. Blocking wouldn’t hurt it a bit. 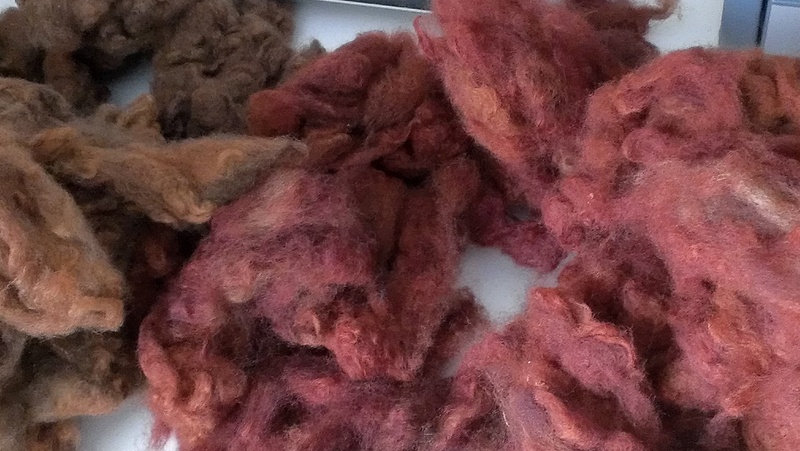 Mohair, alpaca blend… you name it! I even used up random commercial black yarn. I made some doll and bear hats. What else are oddments for? 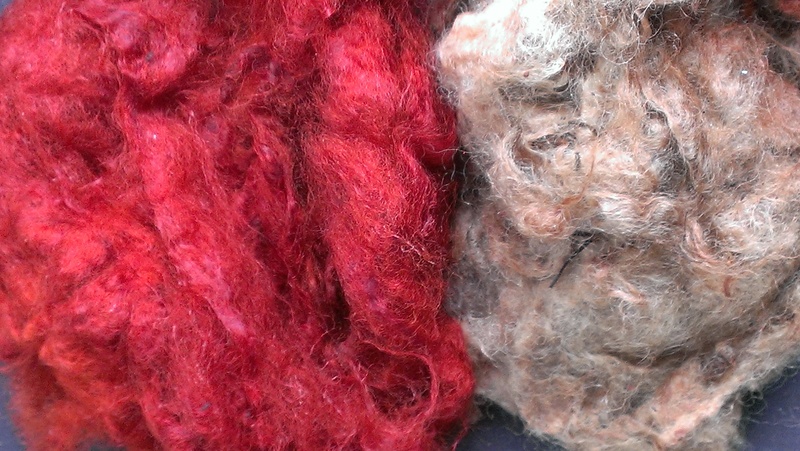 Then came the day I cast on with some super thick, super soft eucalyptus dyed wool of mystery and stopped. Last night I managed to finish, finally. I lashed out and blocked this one just to show I can. Then twice more in a hotel in Melbourne. It was a comedy of errors! But I started to lose my sense of humour by the time I had knit the band three entire times, instead of knitting the whole hat! I may have put the hat in the naughty corner for some weeks at that point, as th0ugh the hat was the one creating the trouble. But now, it’s done and it’s glorious! 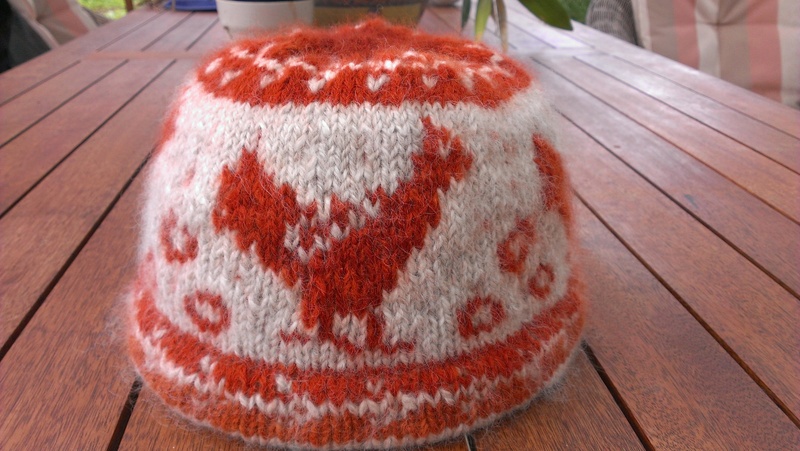 Last night it headed out into the world to warm the head of a delightful friend who is, beyond a shadow of a doubt, a chicken fancier with an entire flock of hens to tend to in all weathers. Plus, more plans for rare breeds. And, it’s her birthday any minute now. She has a wonderful chuckle, and this hat brought out the chuckling. 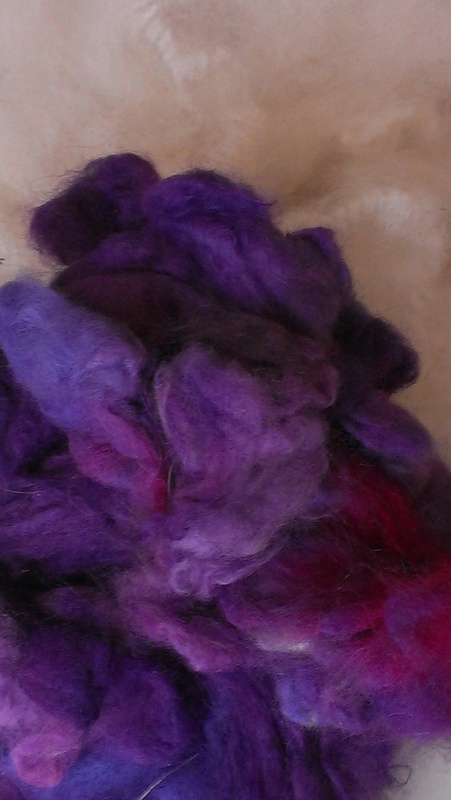 And she liked the softness of this lovely pet polwarth sheep a lot too. For the love of chickens. 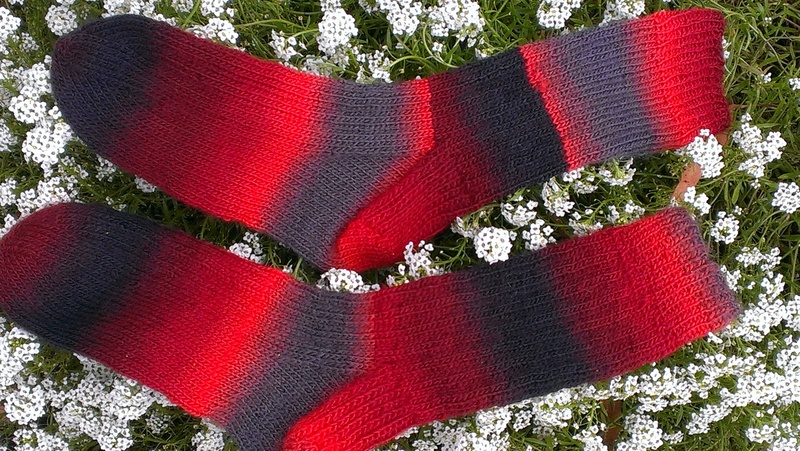 And wool. 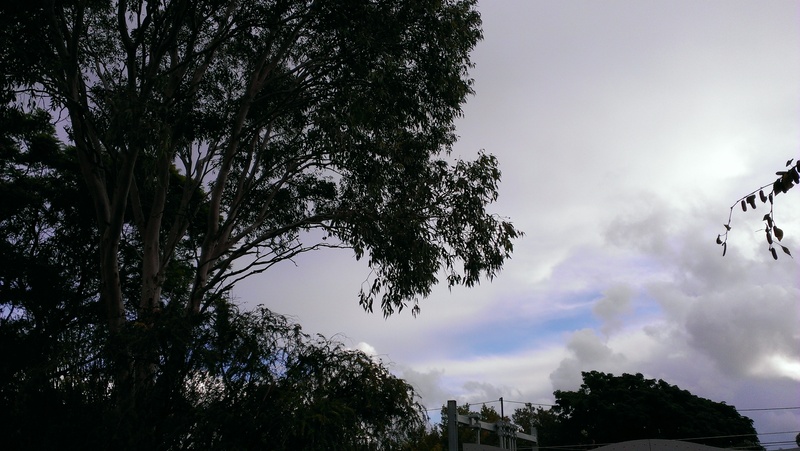 And eucalypts. 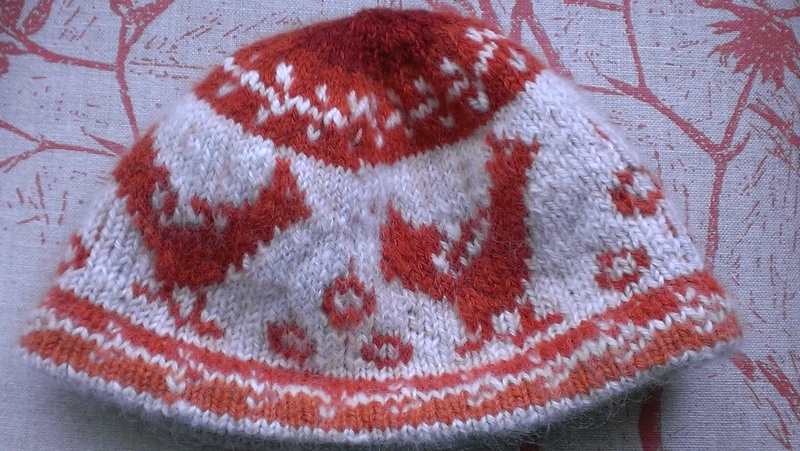 In the latest issue of Knitty, there is a stranded colourwork hat featuring a Rhode Island Red chicken design by Pam Sluter. 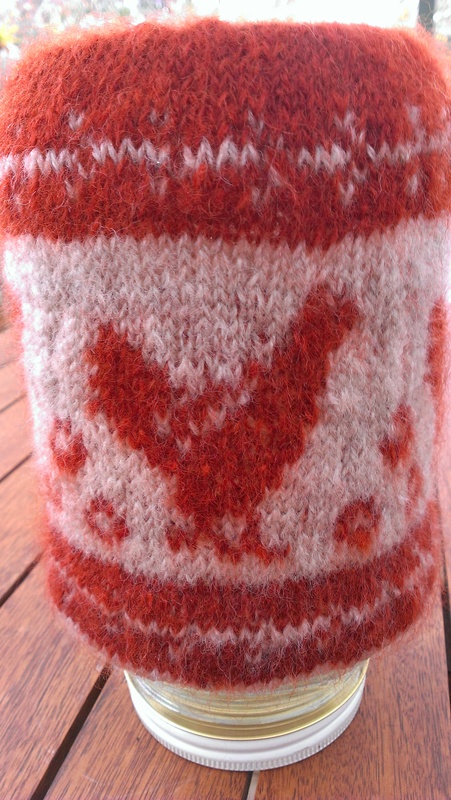 I don’t know Pam, but clearly we share a love of chickens, wool and knitting. In short, I had one of those moments, and decided to cast on RIGHT AWAY! 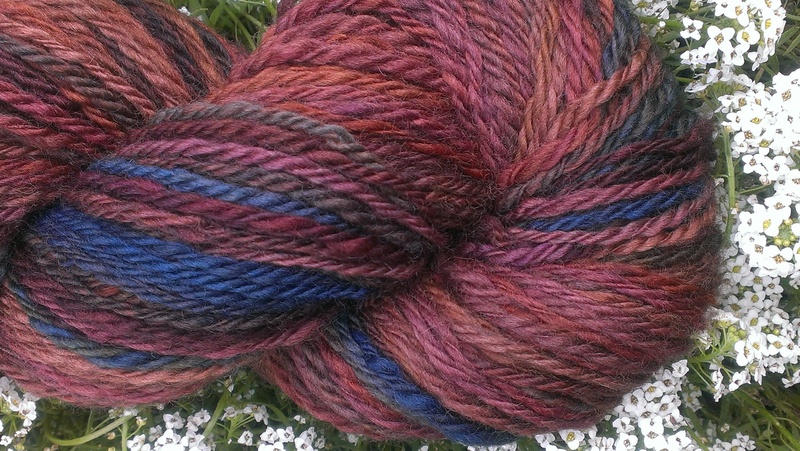 Because, I have these handspun yarns. Mmmm. 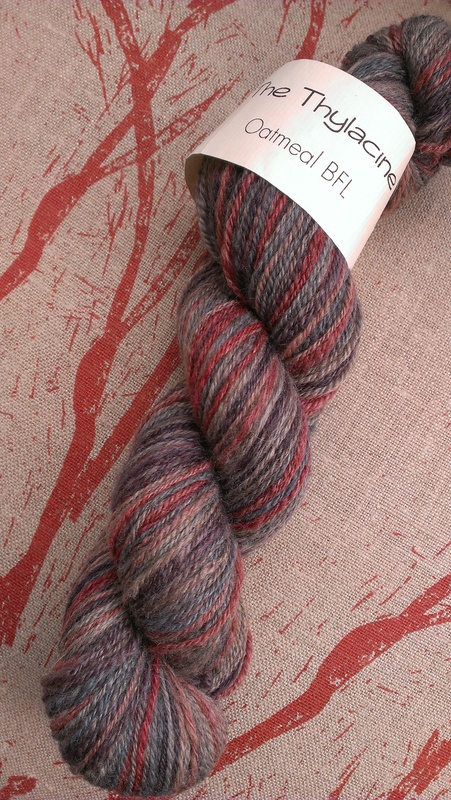 Polwarth, my friends. Soft as anything. Perfect for a little hat. 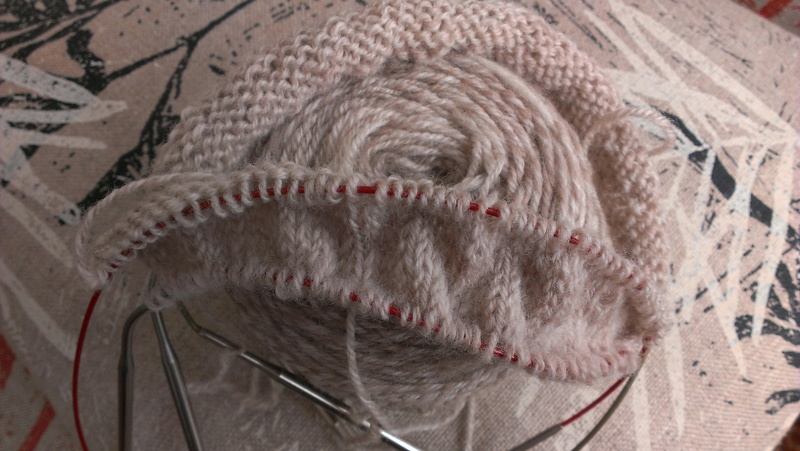 I had an early period of doubt, because provisional cast on, and then three circular needles in play for a while. I held my nerve. I consulted a book on cast ons and bind offs. I love a good book. I tried to talk myself out of taking it on the bus. 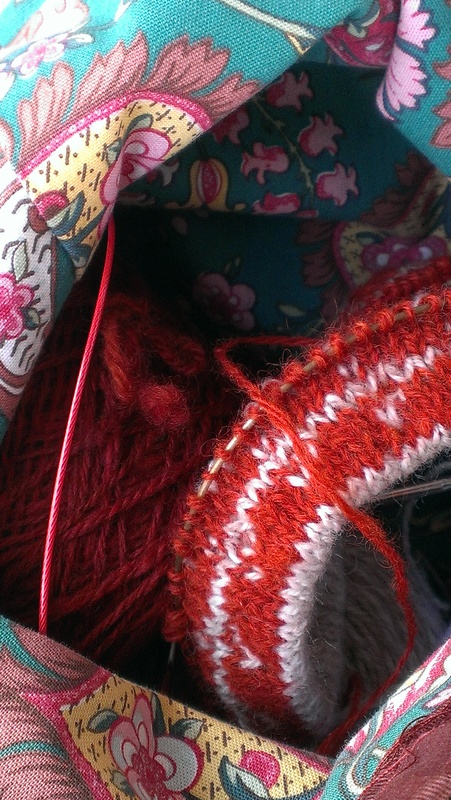 Because charted patterns are not really ideal for bus knitting and I have a perfectly charming sock on the go. No hope of resistance. I kept wondering if the woman on the other side of the aisle could really be staring at me as intently as she seemed to be from the corner of my eye. 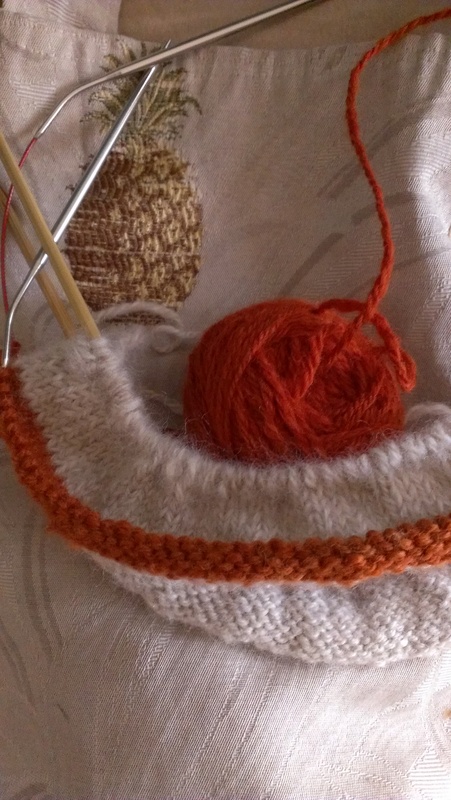 How can my eye possibly be following the chart, keeping track of two yarns on the needles, and still noticing a total stranger? Eventually as we neared our destination I looked over. Yes! She was utterly intent. It appeared we didn’t share much common language so I showed her the picture. She grinned. 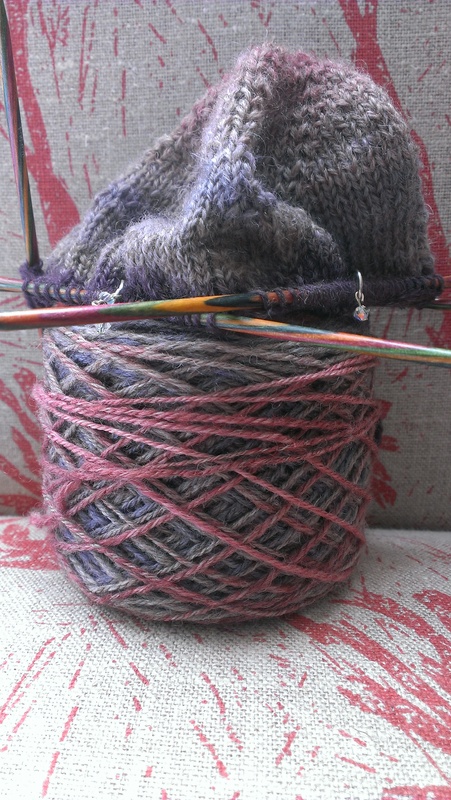 Here is the finished hat, being blocked over a big jar. But you know, not a jar as big as my head. 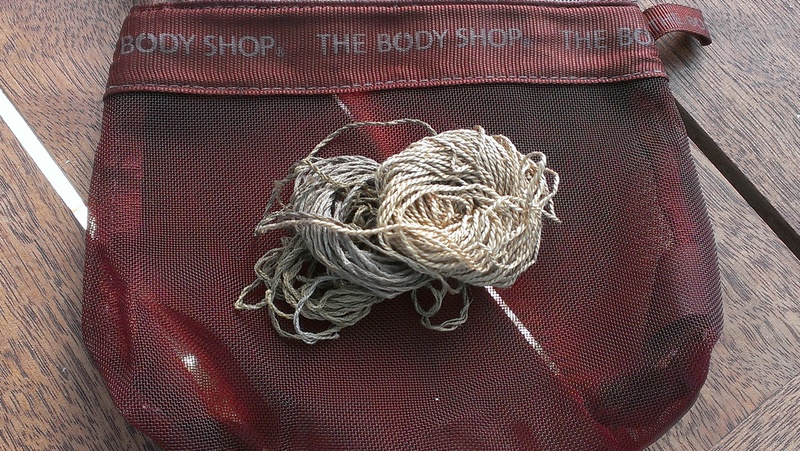 I had some rather pallid silk embroidery thread. 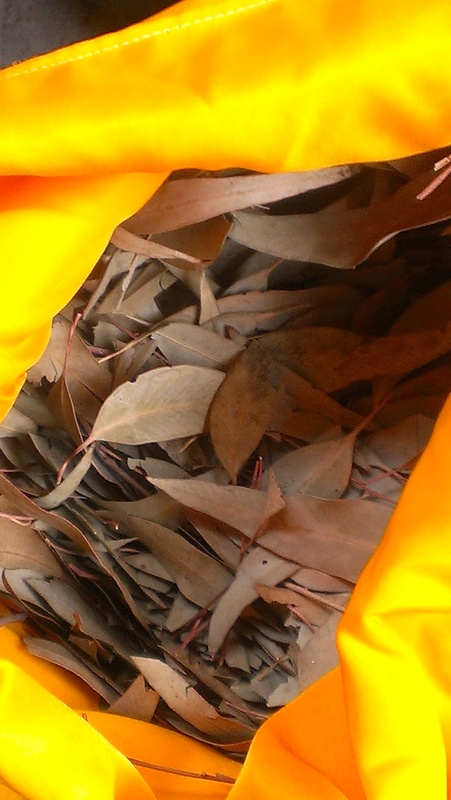 That bag it is sitting on came from an op shop and has been through eucalyptus dye pots so many times it is a very deep shade now! 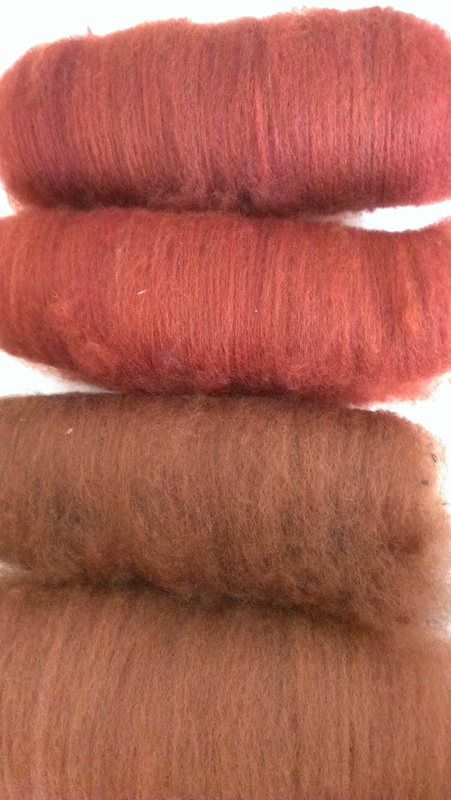 I had some white and tan polwarth fleece. 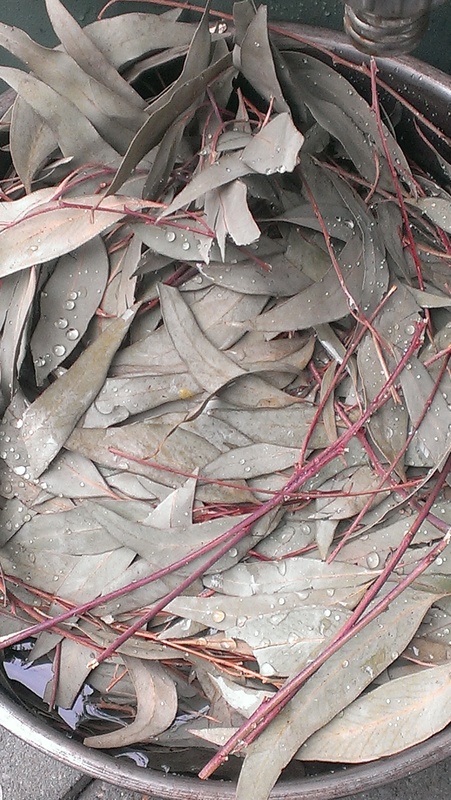 Eucalyptus cinerea leaves… I have sacks of them and decided it was time to get them moving! 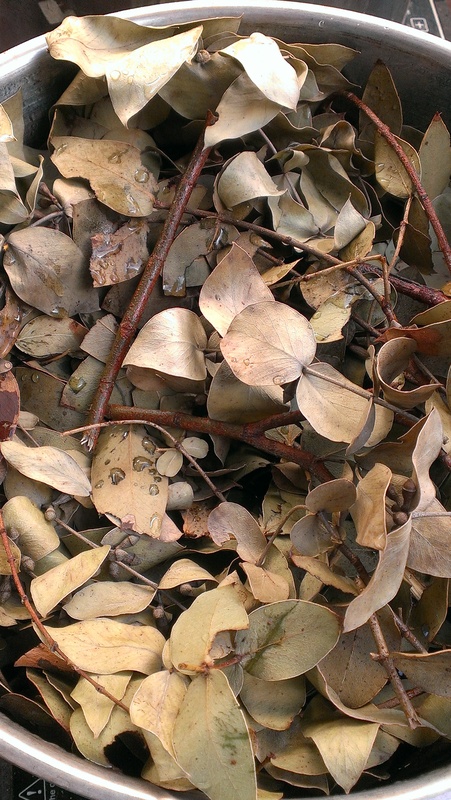 Then a gift of E Nicholii leavea arrived from a fried whose keen eye and quick wits diverted council prunings from going directly to mulch. Thanks! Here they are after some serious cooking. I thought I remembered them being unexciting. 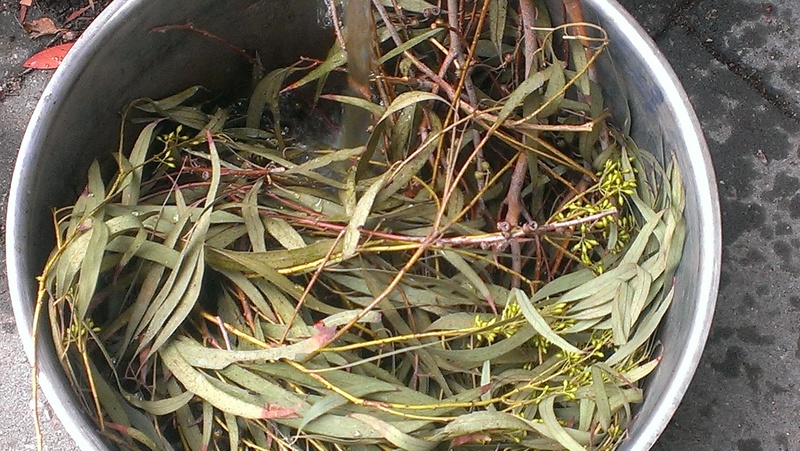 They are clearly ironbark leaves, but presumably I confused my ironbarks. I wasn’t sure and decided to try them out. 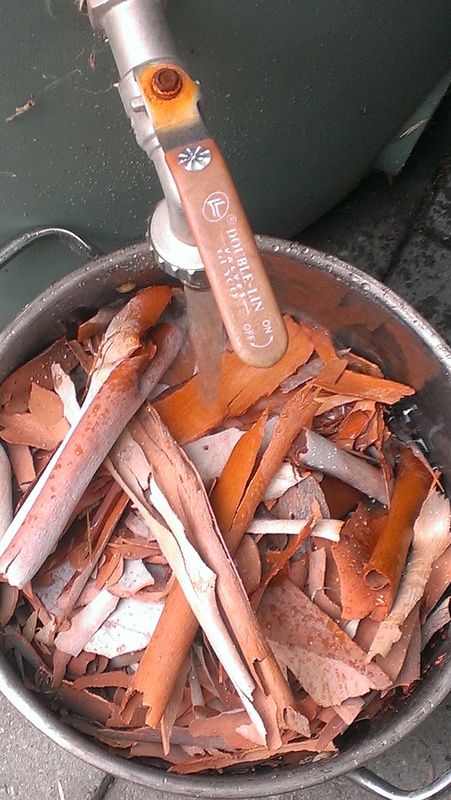 There has also been E Scoparia bark dyeing. 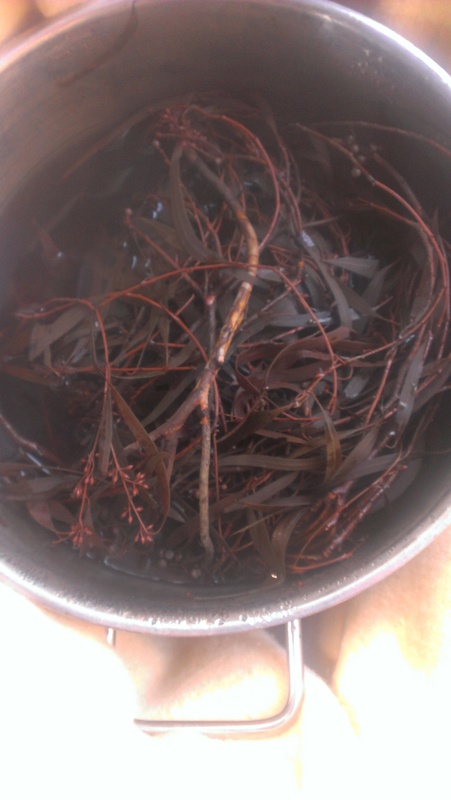 And here we have, fresh from the dye bath (a day later): E Nicholii at the top left; the unexciting ironbark, and E Scoparia bark at the bottom. 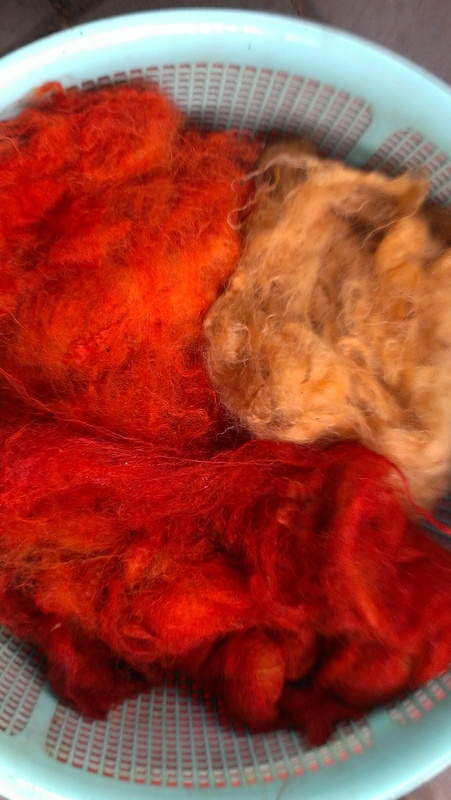 Second pass… ready to spin! 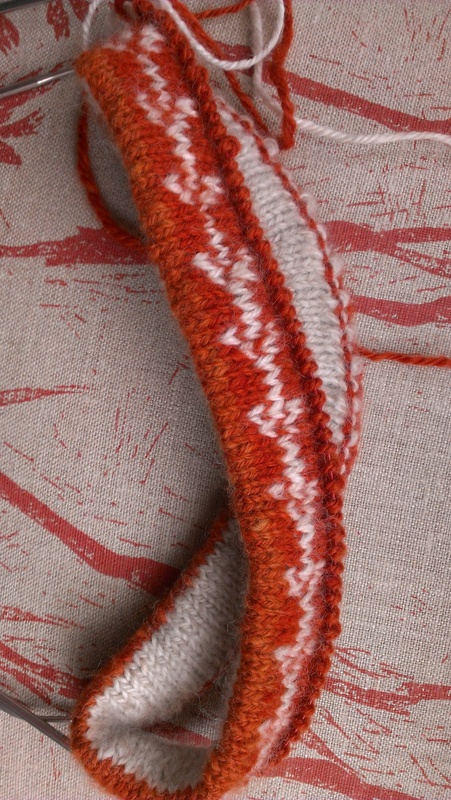 And now I have some thread with a bit more colour in it, too! There has been actual spinning going on behind the scenes. 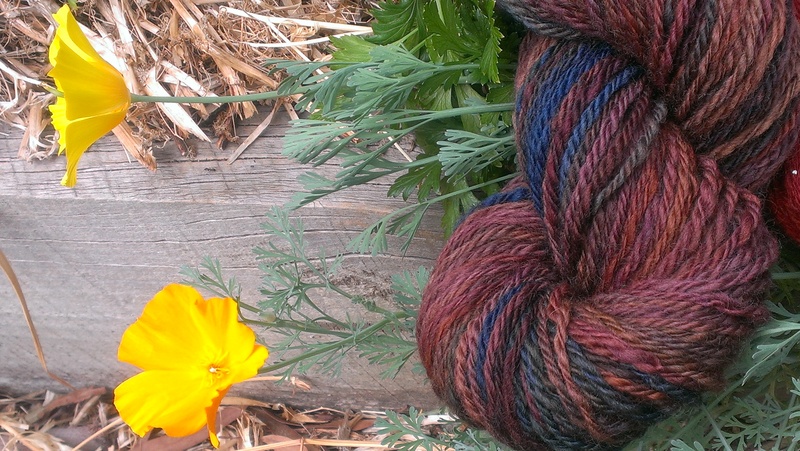 I bought this roving in a destash on Ravelry (along with some other treats…) a while back. 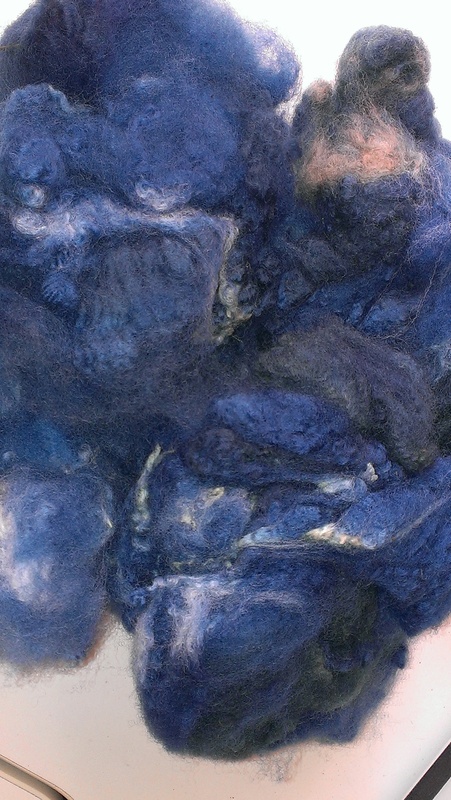 The roving image is taken under mood lighting (which is to say, after dark indoors). 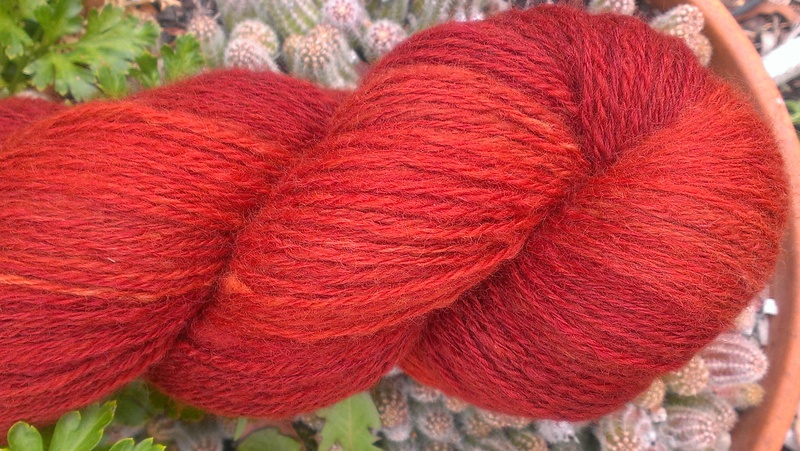 I have also finished a huge skein of eucalyptus dyed local polwarth. 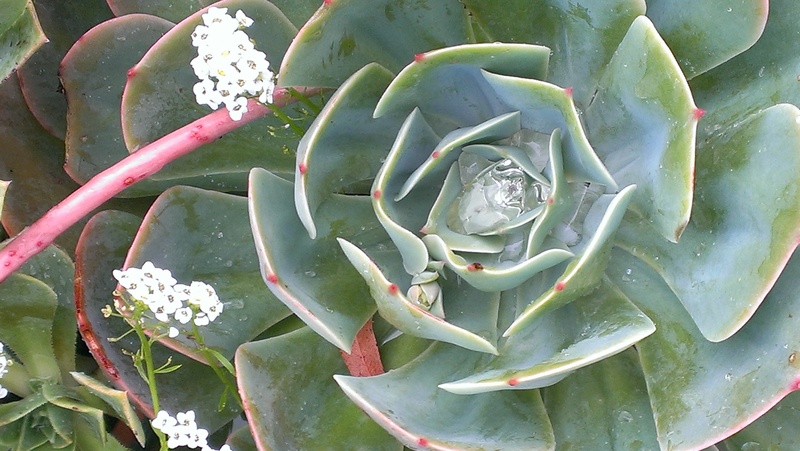 And just could not resist taking pictures in the garden! One of my grandmothers used to have two huge pots of peanut cactus outside her front porch to match the two frangipani trees that framed her front door, and I am still mighty fond of peanut cactus. And wool, but you know that already! 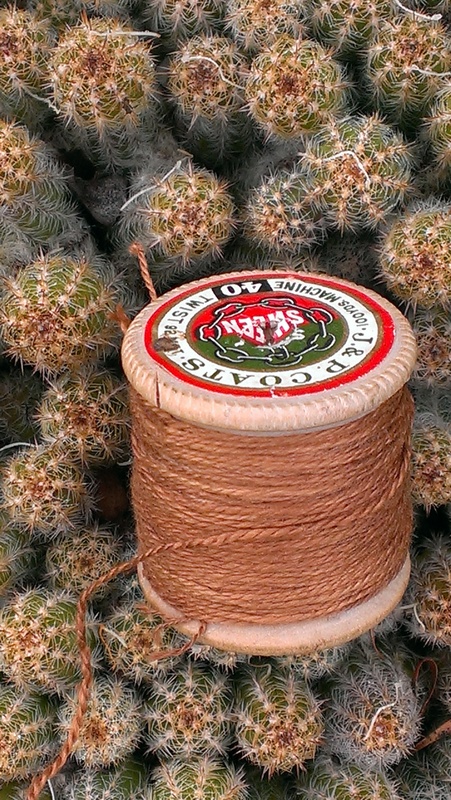 Here it is ready to spin. Just one random batt. Then there was some angora (rabbit)–just a handful. 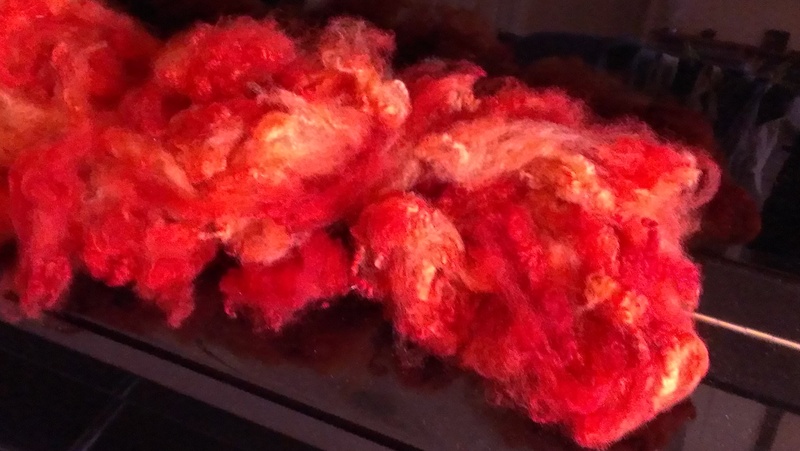 A Guild member was gifted this at the Royal Show last year by a rabbit breeder and since she couldn’t spin, I offered to dye it for spin it for her. 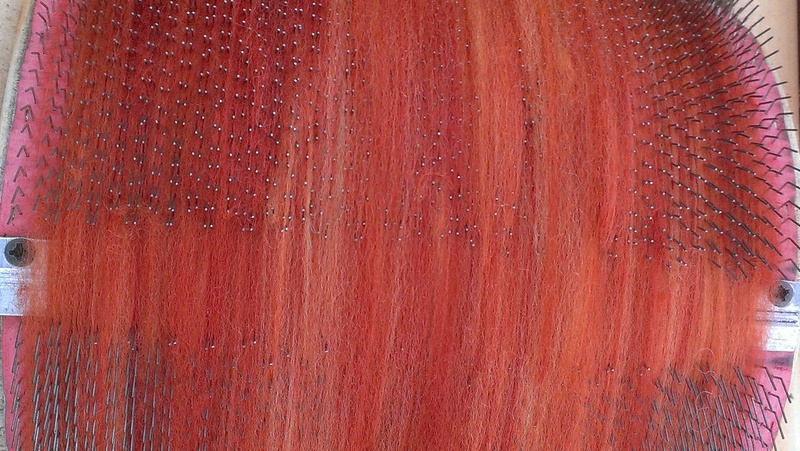 I dyed it prior to the workshop I ran along with a huge batch of fibres for the workshop participants. It was reeeeally short, and there was not very much. 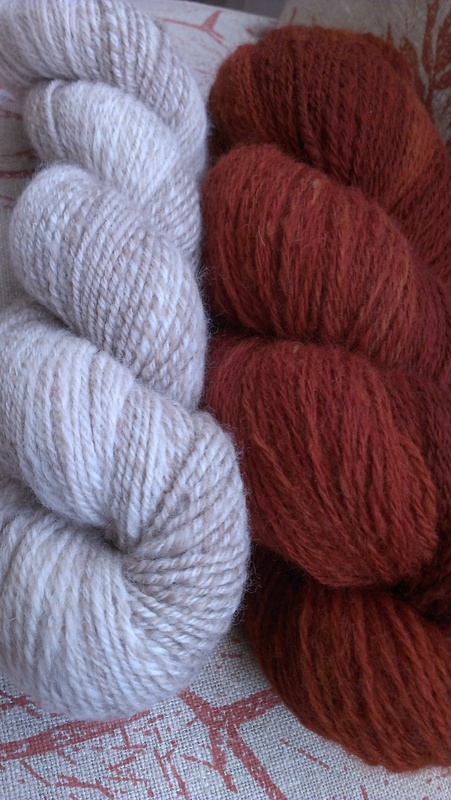 So I carded it into some natural white polwarth. 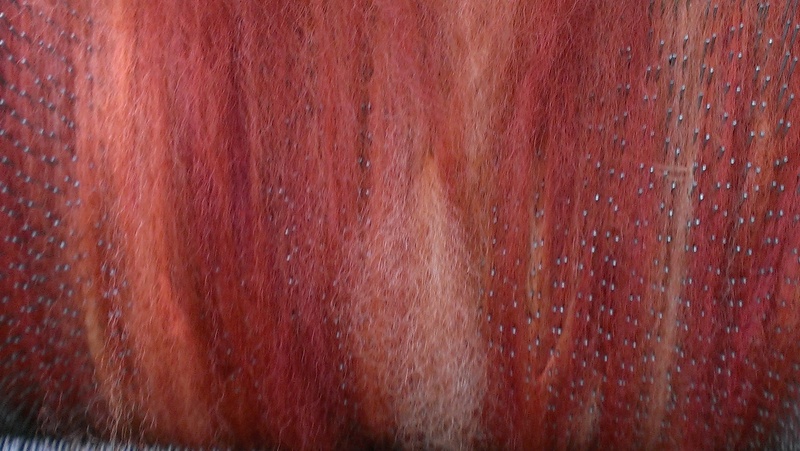 Tweedy angora flecks? 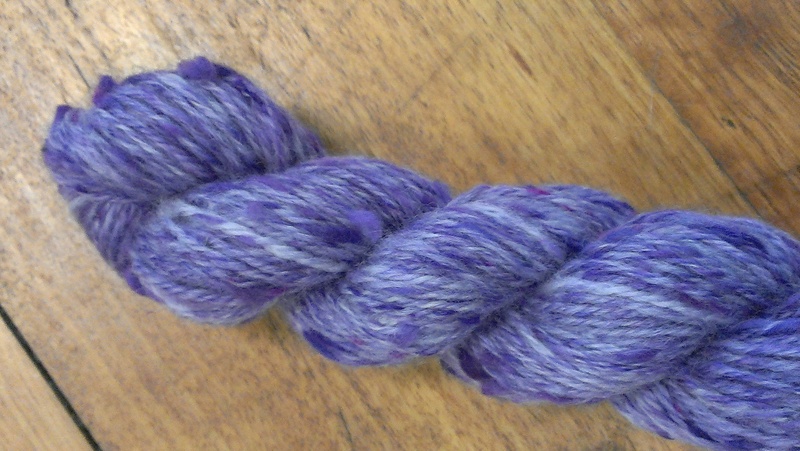 I managed to spin it into a singles before I went to Guild, then plied it up for her on the night. Here’s a rough and ready photo. She was delighted. She is a tapestry weaver, so I feel sure this will find its way into a tapestry in due course!